Silence. My yearning for it is as strong as my need for sleep. At least eight hours of sleep and almost as much silence. Otherwise, don’t expect too much from me. Today I have silence. For an entire day. It’s a different kind of silence than I experience weekly once the kids are off to school and I sit in my office to write my articles. It’s a silence where I get to think and write what I need to. For me. The last time I wrote a post here, it was high summer and my children were away visiting family. I lived in daily, sometimes empty, silence for many weeks. It was wondrous. It was enlightening. Rejuvenating. Inspiring. During that time I worked on my memoir manuscript to send it off to an agent who had requested it (see previous posts). Other than these blog posts and those in my journal, I didn’t write copiously during that time, I’d even taken some time off from my weekly newspaper columns. All my creative energy was thrown into editing, which I thoroughly enjoy. But since that time, when I hit send and watched (in my mind) the .pdf snapshot of my life shooting through cyberspace to an office, and hopefully appreciative agent in New York City, a new silence has descended. In August my children returned, and I reveled in their energy, yes, even in their noise. For a while. When they went back to school, I, thankfully, once again fell deeply into the softness of a quiet house, the calmness of solitude, and into the love of writing. And I was writing almost every day, producing 3,000 words a week for my columns, and who knows how many more scribbled in my journal. But I wasn’t writing what I wanted to write. Besides in my journal where I anguished and cried and pep-rallied my way through a difficult personal situation, I began to feel my voice was silenced. Of course, my writing voice came through in every article I wrote; every turn of phrase, every angle, every theme was mine and a reflection of my authentic self, but it wasn’t quite right. Writing had become my job. I was doing it for a paycheck. Deadlines were almost daily, interviews frequent, and topic brainstorming endless. I had lost the joy. It felt as if I was talking a lot without saying a word. The busy-ness of my freelance life took over from everything else. This blog became silent, and the urge to write after my deadlines were met was gone. It has been almost five months since I sent off my manuscript, and I didn’t hear a word — silence. And that’s OK (well, it’s not exactly OK, at least a “no, thank you” note would have nice). It’s mostly OK because I feel freed up to move on. And move on not necessarily with that piece of work. It called me over the summer and I responded with a passion that wouldn’t let me quit despite the emotional chaos of those few weeks (in fact, it probably helped get me through it), and now I feel satiated for a while. 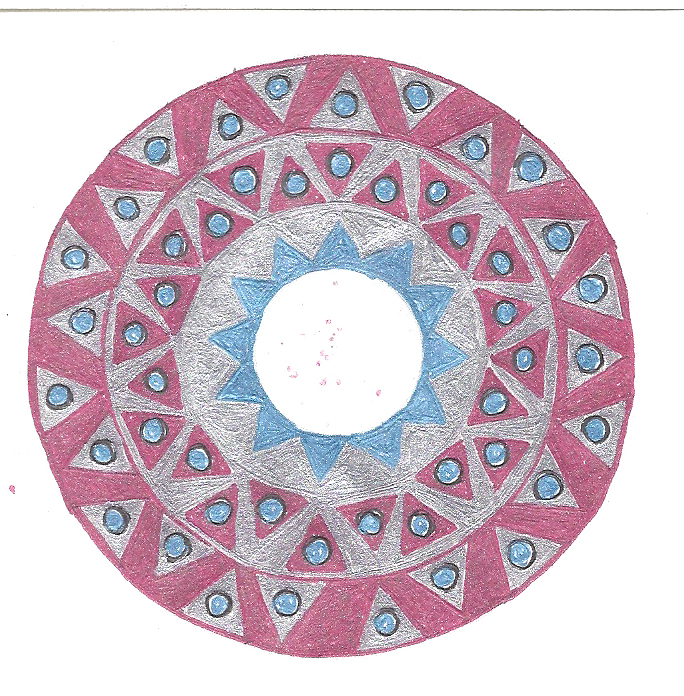 It’s like last year when I became obsessed with making mandalas. I knew I needed to do something meditative to pull me and my mind from my ever-open laptop. Over a period of three months I made over 100 mandalas, one or two a day, and I loved every second of it. Then I stopped. Just stopped. I was done. And that was OK.
I’ve been a singer since childhood — solos, small groups, choirs, voice lessons — and I continued until my first child was born. After that my singing activity was sporadic at best. And that was OK. 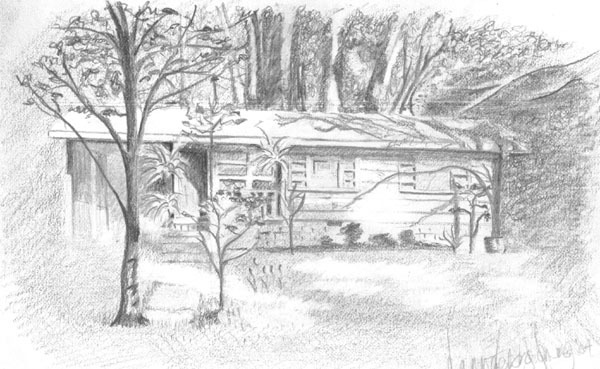 I was an avid artist from my senior year of high school through college and a little beyond. Then I started writing and it took over my imagination and my life. And that was OK, too. Very OK. I always knew I would get back to singing (I have) and to my art (more than mandalas) which I will when the time is right. I feel similarly about my book right now. 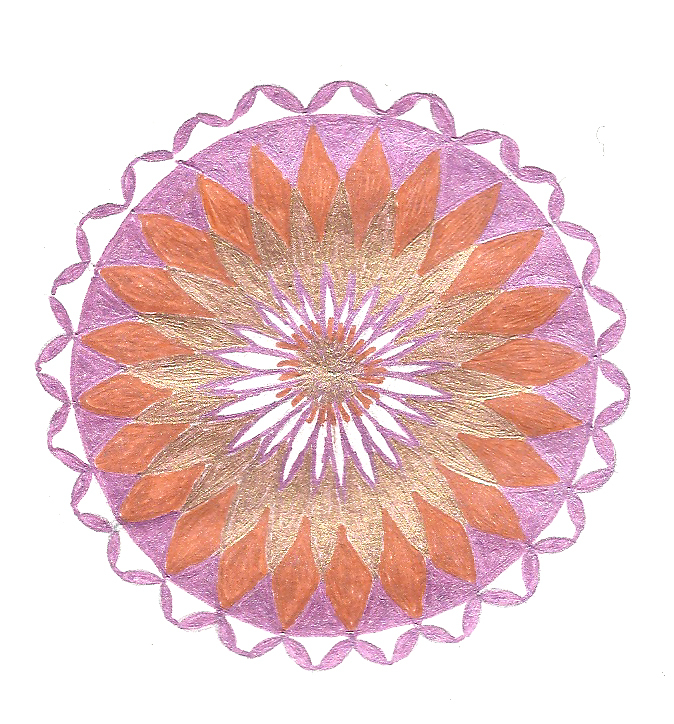 Like the mandalas, which served a valuable purpose when I needed them, working on my book was necessary at that time. I don’t feel the drive for now, and that too is OK.
What worries me — as in, it is causing me discontentment with my good fortune of having such stable freelance work — is that something is beginning to bubble in my depths. Something else needs to be written. I’m not sure what it is, I get only a vague glimmer of it once in a while. I try to get it to focus in my mind, but it won’t. I also re-experience the joy of writing once in a while when I decide to write one of my columns free from the constraints of interviews and profiles and event promotions. It is when I write these pieces that I remember why I love to write, and it verifies that I have more to give, more to experience, more to say. That I need to free myself from the confines of freelance work. That I need my “talking” to say something more authentic and more — dare I say? — important. Ideas and questions I discovered during graduate school and am learning in life right now need further exploration as only writing can do; things that need to be shared and offered to others to (hopefully) help them on their own journey. I need to do more but I can’t quite grab hold of what it is and how I might do it. So, in the unexpected silence of today while my family is off playing in the snow, I ponder the silence of words not written, the silence that is caused when what one really wants and needs to say is not said. But acknowledgement is a first step. Yes, I know I have more to say, but it might not quite be the right time to say it. But it will be. And so, that is OK. This entry was posted in Path to Publication, Writing & Career and tagged authenticity, silence, working, writing. Bookmark the permalink. ← A Path to Publication, part 11: Yeah, what IS your book about? thank you for sharing the ways you engage with silence – your words speak to me of the inner and outer silences, the self-sought and the unbidden silences, the renewing silences and the depleting silences. what feels so fortifying to me is how you are acknowledging the cycles of silence and knowing they will come and go, ebb and flow. for myself, so much must happen within my body knowing before meaningful words will be spoken or written. when I don’t allow the time for percolation, my words fall short or just become so much empty chatter. thank you for the reminder of all this and more.